Black Dog LED was founded in 2010 after its founder determined that an LED grow light which produced a successful yield was not available on the market at the time. The associated frustrations pushed the founder of Black Dog LED towards developing an LED grow light of his own. His goal was to produce a grow light that would successfully support the various grow stages of a plant which ultimately ended in the plant flowering and noteworthy fruit yield. Black Dog LED started back in 2010 with the simple aim to create the best plant grow lights on the market. 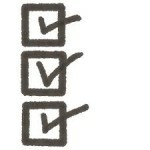 This philosophy continues today for Black Dog LED. The company admits that it is not always trying to develop the least expensive LED grow light on the market, but it is looking to give growers the best bang for their buck. Spectrum and power are two top priorities for Black Dog LED. Company research focuses on these two variables as the company believes that these two variables represent the underlying essence of what creates better grow light products. Spectrum and Power is what Black Dog LED offers in a grow light product and spectrum and power is why Black Dog LED believes it’s grow lights shine above and beyond the competition. I hope that this extensive LED grow light review helps you to make an informed decision when searching for the best LED grow light on the market. It is designed to provide product specific information to make your search for a top LED grow light more efficient. According to Black Dog LED, the BDMicro-U replaces a theoretical 200w HID all while producing a higher yield and higher quality flowers. The light itself contains 54 High Power 5w LEDs and the actual power draw is 135 watts. The BDMicro-U is a high power light in a small package which works well for many indoor growers that need to fit big light into a small grow space. The suggested retail price for the Black Dog BDMicro-U is $420. Black dog reports that the BDMicro-U works better than other grow lights due, in part, to the intense light power and proprietary Phyto-Genesis Spectrum. Black Dog’s proprietary Phyto-Genesis Spectrum is a finely tuned mixture of the light wavelengths that Black Dog has found to be most effective for growing plants indoors and producing high quality and quantity yields. The Black Dog Phyto-Genesis Spectrum incorporates hundreds of beneficial light wavelengths in order to induce successful plant grow and yield outcomes. Black Dog research and technology development has culminated in the creation of a grow light that incorporates hundreds of beneficial light wavelengths to support a plant’s grow process. Included wavelengths fall into the photosynthetic active radiation range which research shows to be necessary to excite photosynthesis and support healthy plant growth. The wavelengths included target crucial absorption peaks in the red, orange, violet, and blue spectrum, as well as IR and UV light. It is a comprehensive mixture designed to mimic the natural effects of the sun’s radiation. The spectrum of light that Black Dog LED utilizes is proprietary. They have termed this specialized spectrum of light the Phyto-Genesis Spectrum. The light emitted by the Black Dog BDMicro-U covers approximately 2’x2′ during the vegetative phase of the grow process and approximately 2.5′ x 2.5′ during the flowering stage of the grow process. Black Dog highlights that HIDs were originally made to shine light for people on the street and not to provide plants the optimal wavelengths necessary for healthy growth. Black Dog’s research was done with the sole intent on making a grow light specifically suited for plant growth. Out of this research, the Phyto-Genesis Spectrum was discovered. After observing the effects that various combinations of light wavelengths had on a plant’s grow process, Black Dog honed in on the specific wavelengths that produced the best plant grow and yield outcomes based on photosynthetic reactivity. Black Dog LED technology incorporates 15 different types of LEDs to create the Phyto- Genesis Spectrum. According to Black Dog LED, the Phyto-Genesis Spectrum is the closest a given grow light can come to emitting the perfect light spectrum. 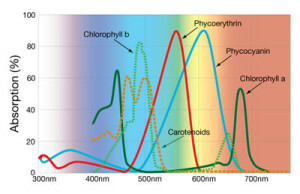 Black Dog reports that their LED grow lights cover 15 of the most important spectrums and target 9 absorption peaks which activate 5 parts of the chlorophyll system. According to Black Dog LED, the Phyto-Genesis Spectrum provides a spectrograph that is similar to the one at the left. According to Black Dog LED, the bulk of the diodes utilized in the LED grow light models come from Epistar. Black Dog relays that Epistar offers the largest selection of wavelengths at higher powers. Black Dog also reveals that they source out the specialized high quality UV and IR chips from other proprietary manufacturers. Epistar integrates LED applications in phones, laptops, as well as products utilized for horticulture like LED grow lights. The company has almost two decades of development and research backing its technology. Ambient room temperature is not only a key during any indoor grow scenario, but should be a specific point of focus when considering the difference between an HID and LED grow light. When growing under a Black Dog LED grow light, the heat produced by LEDs is less than the heat produced by a standard HID. This is one reason LED technology can be more efficient, and it is also a reason that indoor growers should pay particular attention to the ambient room temperature. Black Dog reports that their proprietary Phyto-Genesis Spectrum gives plants only the light they need to grow without wasting energy on too much of the light that they do not need in abundance. This is why the light emitted from the Black Dog grow light does not look white. This color (white light) is how we see light (like in street lamps) and although it is acutely visible to humans, plants do not absorb and utilize it in its entirety. When the white light, say from an HID, is emitted, the excess light energy is thrown off as excess heat which heats up the plant and specifically the plant’s leaves. Since LEDs do not throw off this excess and unnecessary energy, the leaf surface temperature is cooler as is the ambient room temperature. For this reason, to optimize growth under a Black Dog LED grow light, one must monitor and keep the ambient room temperature higher than if they were growing under a different type of grow light. According to Black Dog LED, the ambient room temperature may need to be maintained approximately 10° higher to achieve an appropriate leaf surface temperature and to optimize plant growth. The ideal leaf surface temperature will vary depending on the plant one is growing as well as other external factors. An indoor grower will need to research this individualized information for the specific plant, but know that the ideal leaf surface temperature to excite photosynthesis for many plants falls in the range of 59 °F to 86 °F. 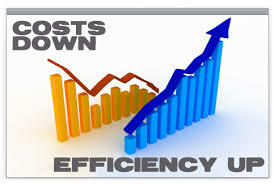 The good news is that since LEDs throw off less heat, fewer problems associated with excess heat arise. This means eliminating plant burnout and greatly reducing costs associated with cooling and ventilation when using LED grow lights. The Black Dog BDMicro-U is a top grow light in the field of LED grow lights. 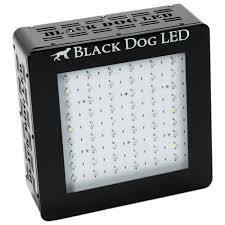 Other grow light producers cite Black Dog as a top competitor and for good reason. Black Dog continues to impress with its proprietary light spectrum that incorporates 15 different LED types as well as UV and IR wavelengths. Although the grow light costs a little more than some of the other LED grow lights in the field, Black Dog’s research, product and grow outcomes sets it apart. Now it is time for you to decide. This LED grow light review was designed to make your search for the best LED grow light easier. 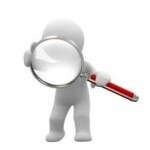 I hope that the information in this LED grow light review helps you to grow big at home! Good luck.